China is the top country for international students in the US, with more than 274,000 Chinese students at US universities. Many Chinese parents save up a lot of money for their children to study abroad. Is it worth ? Too many Chinese parents think a foreign education is best for their kids. I often feel this is a mistake because the education in China is very good too. I think this will change. Chinese universities will improve and more smart kids will study in their home land in the future. I went to study abroad when I was 17. I went to UK from Russia. In the First year, I met many Russian students in my college and we spent much our time shopping and enjoying coffee. I studied sometimes, but it wasn't until two years later that I realized that my English hadn't improved. I couldn't understand my lessons. I changed my mind and started studying hard. There is a perception that American education is the best in the world. Chinese parents send their kids to American colleges. American education teaches creativity. Chinese education is based on memorization. 2. Arsa studied in the USA at the age of ______. 3. The underlined word perception means ______in Chinese. 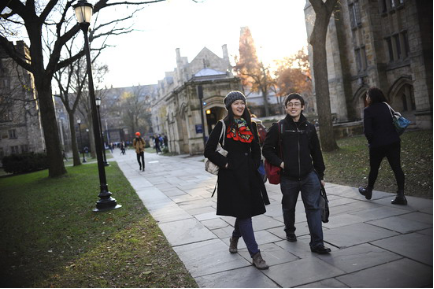 A More than 274,000 Chinese students study at US universities. B Many Chinese parents spend a lot of money for their children to study abroad. C Arsa studied very hard when she went to the USA. D There is a difference between American education and Chinese education.